Director: Michael FeiferWriters: Pierre David, Michael FeiferStars: Brianne Davis, Tonya Kay, Kathleen QuinlanSummary: Sarah Carter (30s), eight months pregnant, is abruptly rear-ended on Mulholland Drive, and ends up in a deep road side ditch...Transported to the hospital, she delivers her baby. Little does she know that she is the victim of a nefarious plan of her new husband's unhinged secret girlfriend. 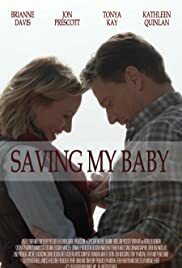 Soon Sarah will be racing against time to save her baby, in an emotional thriller written by Mike Feiffer (Cradle Swapping) that will lead the viewers from Los Angeles to Palm Springs and ultimately the gloss and grit of Las Vegas.